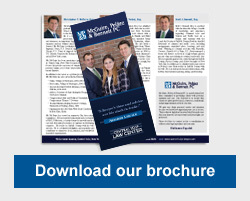 McGuire, Peláez & Bennett is a full-service law firm, with a special emphasis on handling criminal and traffic cases, personal injury matters, matrimonial and family court cases, as well as real estate and landlord-tenant matters, including foreclosure defense and post-foreclosure eviction defense, in Central Islip, and throughout Suffolk County on Long Island. In addition, our Suffolk County law office has handled personal injury cases including motor vehicle accident claims, slip and falls, and construction accidents. Languages spoken are English and Spanish. When you face an important legal matter, experience counts. Christopher McGuire and Mary Peláez are former Suffolk County prosecutors. 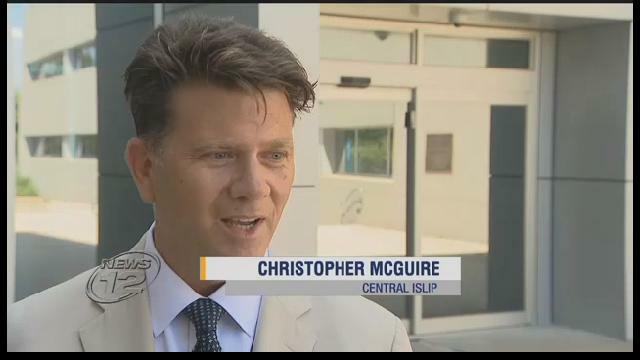 Mr. Mcguire spent 12 years on the bench as a criminal court judge. Combined, they have 30 years of experience in private practice. If you have been arrested and charged with a crime in Long Island, you need experienced representation to protect your legal rights. 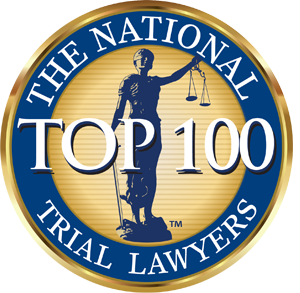 Our Central Islip criminal law attorneys have been handling criminal cases for more than 20 years. We have a team of former prosecutors who speak English and Spanish, and have successfully handled thousands of misdemeanors and felonies, including assault, larceny, drug charges, driving while intoxicated (DWI / DWAI), criminal contempt, domestic violence, manslaughter, Aggravated Unlicensed (VTL 511), and other charges. When a relationship fails, it is hard enough to manage your emotions. It is even harder to manage your household. Our attorneys are sensitive to your needs and experienced in handling your legal matters. If you are a landlord and you want to evict your tenant, or if you are a tenant who has a landlord who is violating the terms of your lease agreement or your right to live in suitable living conditions, our Long Island attorneys have more than fifteen years experience and have handled thousands of landlord-tenant matters. We understand that selling and buying a home, condominium, or cooperative is a stressful experience. Our goal is to use our more than ten years of experience in handling real estate matters to make your experience as simple and easy as possible while protecting your legal rights. If you have been injured in an car accident, a construction site accident, a slip-and-fall accident, or an on-the-job accident, our accident attorneys have more than fifty years of expertise in handling these kinds of cases for the Suffolk County areas.